Shyloh Belnap: Sneak Peak on our Ad coming out! Sneak Peak on our Ad coming out! 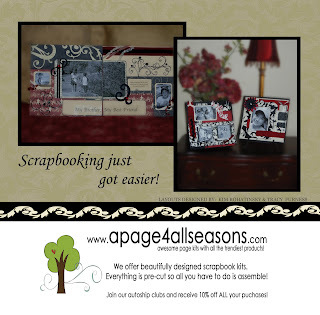 I just wanted to give ya'll a sneak peak of the ad coming out in the September Cards magazine from Scrapbook Trends! What great layouts. Are these going to be available for purchase? Can't wait for crop night. See you then! Hey there! These layouts will be for sale. In fact, they are cut, they just need to be packaged. Maybe within a week!? This magazine is the one that I have been willing to read from a while and it sure is interesting that you have got them here. I am always interested to know about the new updates here.